Home cosmetics eyeliner eyeshadow facepaint halloween lipstick makeup matte skin news nyx oily skin pop art powder foundation reviews shine killer Pop Art Halloween Makeup using NYX Cosmetics! 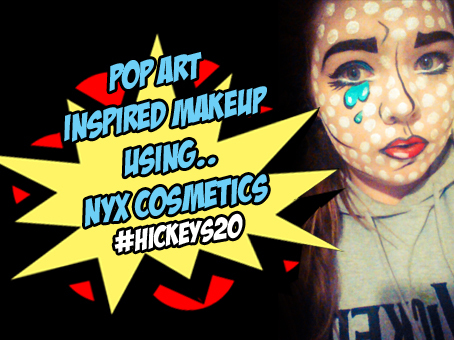 Pop Art Halloween Makeup using NYX Cosmetics! It's that time of year again when all the makeup artists and beauty bloggers go crazy with their makeup ideas for Halloween. Each year the stakes get higher for who has the best Halloween makeup in all of the blogosphere. Seeing all these amazing makeup looks everywhere online as well as the fact that Hickeys Pharmacy were celebrating 20 years in business #Hickeys20.. 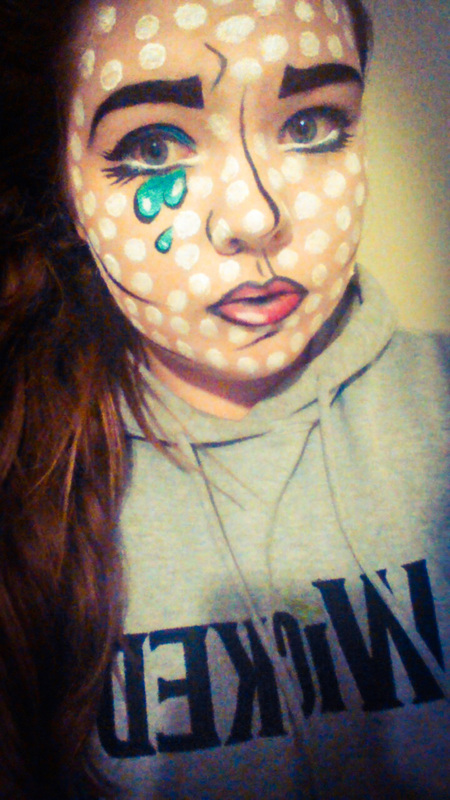 I decided I'd give it a go myself, and so.. my pop art makeup look was created. For years I've had an obsession with anything comic print and pop art, my favourite artist is Roy Lichtenstein which is best known for his comic style pieces. So.. 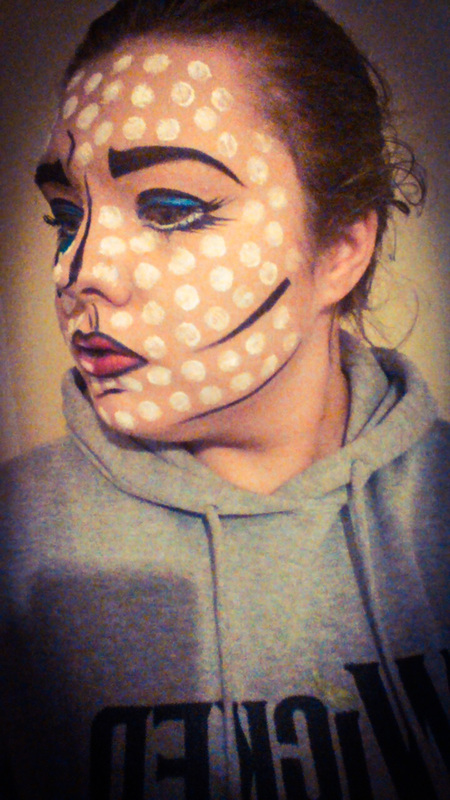 I thought why not channel my inner Roy Lichtenstein for Halloween? I achieved this look by using one of my favourite brands NYX Cosmetics. NYX Cosmetics is available in Hickeys Pharmacies, you can click here to see their Store Locator. 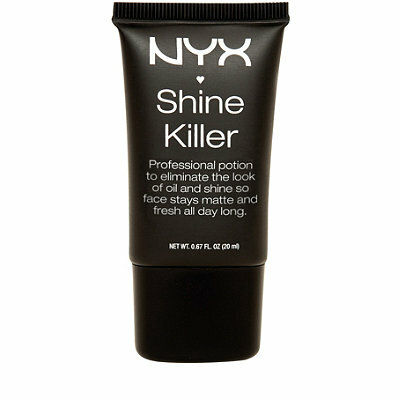 To begin I primed all over my face using NYX Shine Killer €9.99. This is great for anyone with oily skin to use as a base to ensure their makeup stays oil free all day long. It also helps your makeup stick better and last much longer too. 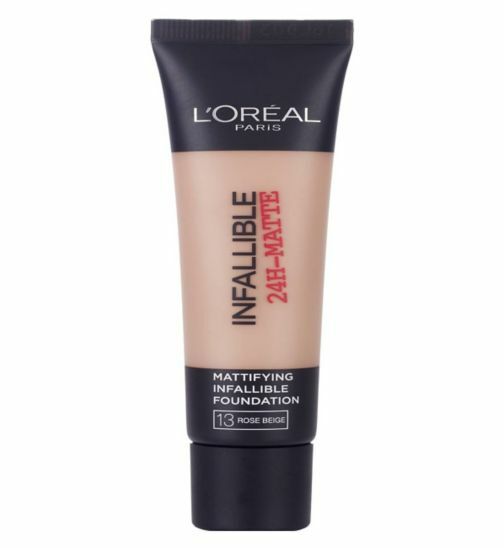 I then applied L'Oreal Infallible 24Hr Matte Foundation €12.29 and used the NYX HD Photogenic Concealer €6.99 to cover any problem areas. 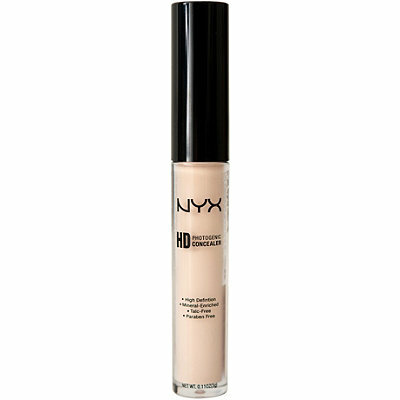 I love the NYX HD Photogenic Concealer because they don't have a watery consistency like most liquid concealers. 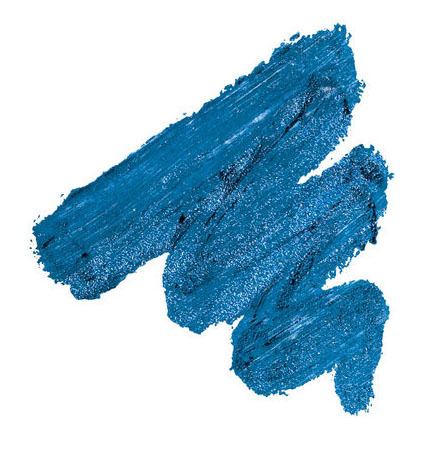 The texture is thick enough to give good coverage that lasts all day. I use mine for concealing blemishes, covering up dark circles and of course.. contouring! I used NYX Stay Matte But Not Flat Powder Foundation €10.99 to set my foundation and my concealer. This was my first time trying out this powder foundation and I loved how natural it felt on my face. 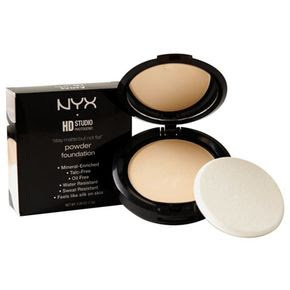 Most powders leave my face feeling cakey but I love the light texture of this NYX powder. 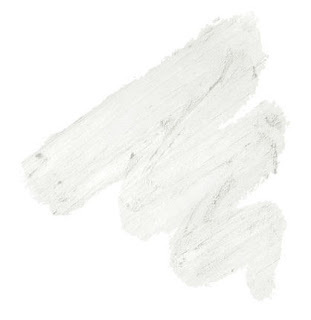 It gave me really good coverage but felt light weight on the skin, keeping the skin looking natural but nice and matte. For the blue on my eyes I used one of NYX's Jumbo Eye Pencils in the shade Cobalt €4.99 all over my eyelid. I love the NYX Jumbo Eye Pencils because they're so easy to use and blend. They last ages and they're so pigmented! To draw the black lines on my face as well as the eyebrows I used MeMeMe Cosmetics Eye Sweep Eyeliner (which I think is around €8) and then used NYX HD Photogenic Concealer to clean up any wonky lines or any lines that I drew on too big. See my review of the MeMeMe Cosmetics Eye Sweep Eyeliner by clicking here. To create the pop art lips I put NYX Jumbo Eye Pencil in the shade Milk €4.99 all over my lips for the white cartoon shine. I love the NYX Jumbo Eye Pencil in the shade Milk because it has so many different uses. I sometimes use mine as an eyeshadow base if I'm applying bright eyeshadows. The white makes the colours pop and the creamy consistency of the pencils holds your eyeshadow in place all day without creasing. I then drew around the bits I wanted to keep white using a lip brush and NYX Matte lipstick in the Shade Bloody Mary €7.49 before covering in the rest of my lip in the same lip colour. To create the tear under my eye I used No7 Stay Perfect Liquid Eye Liner in the shade Mermaid ‎€9.75 before outlining it using MeMeMe Cosmetics Eye Sweep Eyeliner and using some of NYX Jumbo Eye Pencil in Milk to create a false shine effect. To create the white dots all over my face I used NYX Jumbo Eye Pencil in Milk covered with some white facepaint to make them really stand out. And voila! Here are some pictures I took of the finished look! I love the finished look and I think it's obvious from the amount of NYX Products that I used to create the look that I absolutely love their products! If you're planning on giving this Halloween makeup look a go don't forget to show me your finished look by tweeting me a picture Tweet to @clairepear_ Tagging me on instagram @clairepear_, send me a message on Facebook with a picture of the look or you can simply drop me an email using the contact form here or you can email me directly at lipstainsandlace@outlook.com. Don't forget to go like Hickeys Pharmacy on Facebook, Follow them on Twitter Follow @HickeysPharma and on Instagram too. Wish them a Happy 20 years by using #Hickeys20 on all social media! I hope you enjoyed reading about how to create this Halloween makeup as much as I enjoyed creating it!